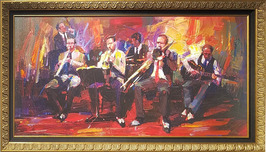 It is a rare and celebrated occasion when an artist is discovered that has a unique talent, fresh vision, and exceptional ability to transcend artistic predisposition. 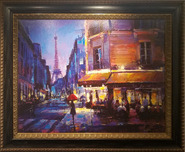 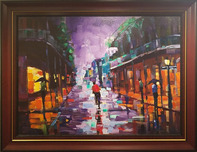 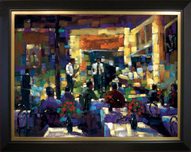 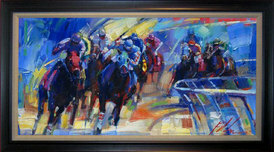 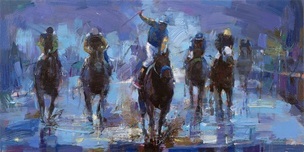 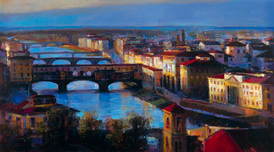 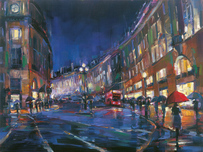 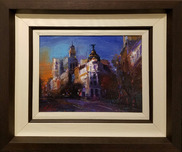 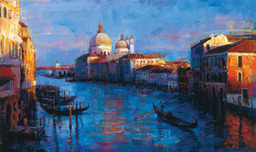 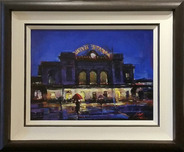 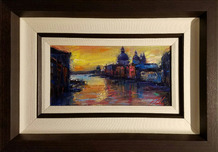 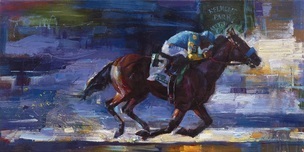 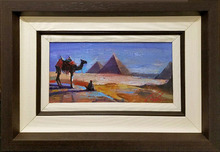 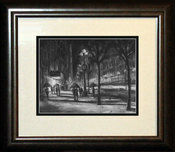 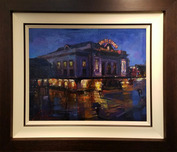 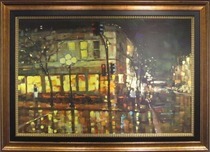 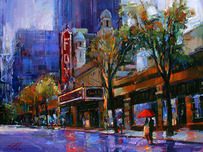 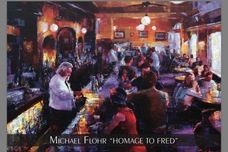 Painter Michael Flohr is just such an artist. 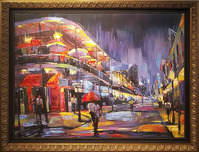 His work is a visual adventure. 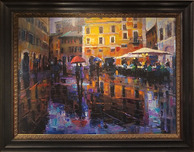 Not only in its exquisite beauty, obvious artistic integrity, and the emotion elicited in every work of art--but in the artist's ability to effect the invention of a genre unique and true, in and of itself, in today's contemporary art world. 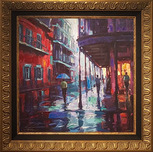 Depicting ordinary moments in extraordinary ways, Michael Flohr's work is an intellectually artistic mastery of color, perspective, technique, and vision. 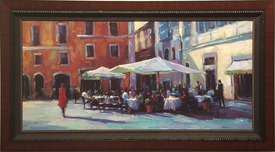 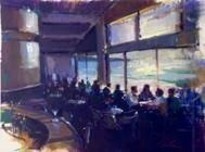 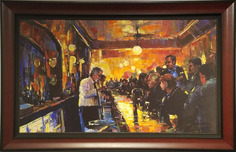 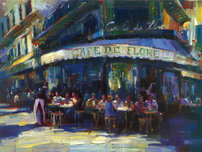 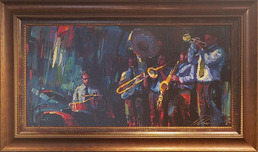 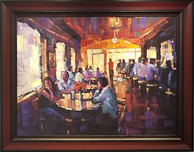 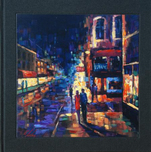 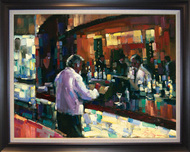 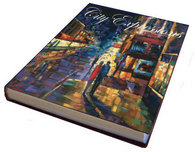 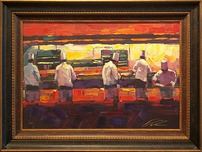 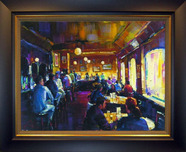 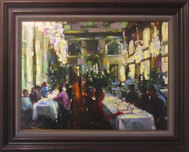 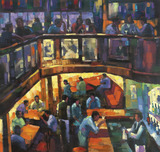 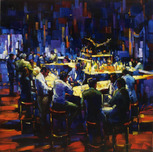 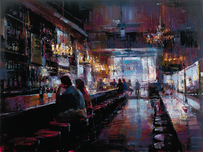 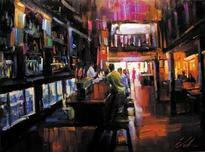 Michael Flohr is a young San Diego artist whose modern impressionistic paintings of bar scenes, cafe scenes, and busy city streetscapes offer a colorful social commentary on our times.